Nearly 75 million American adults have high blood pressure. The condition doesn’t cause symptoms, and many people don’t know they have it. At Apex Medical Professionals in Fair Lawn, New Jersey, Walid Elkhalili, MD, and the team offer blood pressure screenings and expert medical advice and treatments to lower your blood pressure and improve your health and wellness. Call Apex Medical Professionals today or schedule an appointment online. As your heart pumps blood through your body, your blood pushes against the insides of your blood vessels. That force is your blood pressure. Your blood pressure is measured with two numbers, representing millimeters of mercury (mmHg). The top number will be a measure of your systolic pressure, the force exerted when your heart beats, and your diastolic reading indicates the pressure in your blood vessels when your heart is at rest between beats. A healthy blood pressure is 120/80 mmHg or lower. As soon as your blood pressure reading starts to creep above this threshold, it’s considered elevated. When your systolic number is 130 or higher or your diastolic pressure is higher than 80, your blood pressure is deemed to be high, and you enter the early stages of hypertension. High blood pressure doesn’t cause noticeable symptoms until you’re at risk of cardiovascular health problems like a heart attack or a stroke. The only way to monitor your blood pressure is to have it checked regularly by a medical professional, for example at your annual physical or well woman visit. If you have an elevated reading during a routine blood pressure check, your doctor at Apex Medical Professionals will schedule a series of tests at different times of day to ensure that your initial high result wasn’t a one-off issue caused by external factors. He may also order a stress test where you walk on a treadmill while hooked up to a device that monitors your heart rate and blood pressure. If your blood pressure is elevated, your doctor may suggest lifestyle modifications to lower your blood pressure. For example, getting at least 30 minutes of moderate exercise each day, such as a brisk walk, and reducing extra fat and salt from your diet can make a difference. If you smoke, you can talk to your doctor for advice and assistance in quitting. However, if your blood pressure doesn’t respond to healthy lifestyle changes, your doctor can prescribe medication such as diuretics, ACE inhibitors, and calcium channel blockers to help regulate your blood pressure. 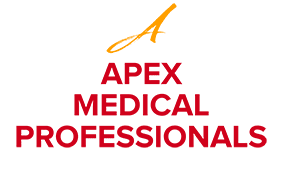 Call Apex Medical Professionals today or schedule an appointment online to have your blood pressure checked and get the expert medical care you need to improve your health.